The daily commute. Your weekend outing. The occasional road trip. You spend a lot of time in your car – so make sure it’s stocked with everything you could possibly need. To help you prepare for wherever the road of life – or the actual road – takes you, here’s a list of things that might come in handy while you’re in your car. A spare tire – Active Tools reports that an average of 220 million flat tires occur each year in the United States. It’s a common problem that you should be prepared for. If you don’t want to get a regular tire, you can opt for a donut, but remember that these smaller tires are meant for low speeds and short-term use. A jack and lug wrench – That spare tire won’t do much good if you don’t have the tools needed to change it. In case you don’t know what to do with these tools, Popular Mechanics has step-by-step instructions on how to change a tire. Road flares – If you’re stuck on the side of the road, changing a tire or waiting for help, the last thing you need is a car accident to compound your problems. Make sure other drivers can see you – and don’t hit you – by having road flares. 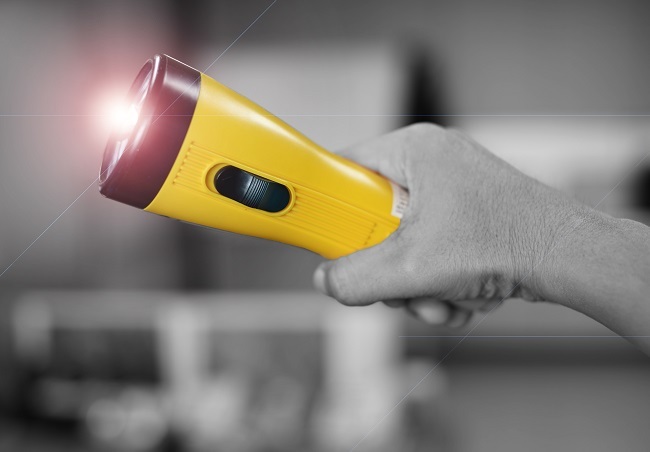 A flashlight – Again, visibility is essential. If you’re driving at night and something goes wrong – you hit something, your car breaks down, or you get into a collision – you’ll be glad you brought a flashlight. A first aid kit – This is a must. A good first aid kit should include various bandages, antibiotic ointment, antiseptic wipes, a space blanket and first aid instructions. The easiest way to make sure you don’t forget anything is to buy a complete kit, like the ones sold by the Red Cross. A camera – This is in case you get into an accident. Having a camera ready to document the damage can come in handy. If you use smartphone, its camera should work fine. Water – Aside from oxygen, it’s the number one thing you need to live, so you really don’t want to get stuck without any. It can also be used in place of extra coolant if your engine overheats, but make sure you don’t pour cold water over a hot engine. Some food – While you’re stocking water, throw in a few granola bars or other high-energy, long-lasting snacks. That way, if you find yourself stuck waiting for a tow truck, hunger pangs won’t make a bad situation worse. A map – Yes, yes. You have plenty of maps on your phone. But what if your phone runs out of power? Or you lose it? Or you’re in a remote location with where your GPS doesn’t work and there’s no Internet access? Maps are fairly inexpensive and take up very little space. Stick one in your car. Finally, if things go wrong, you’ll want your auto insurance information with you. Keep your insurance card in your wallet so you’ll always have it on hand. Of course, having solid auto insurance is an obvious prerequisite. Want to know how much the best auto insurance rates could save you? Find out by getting a quote here.